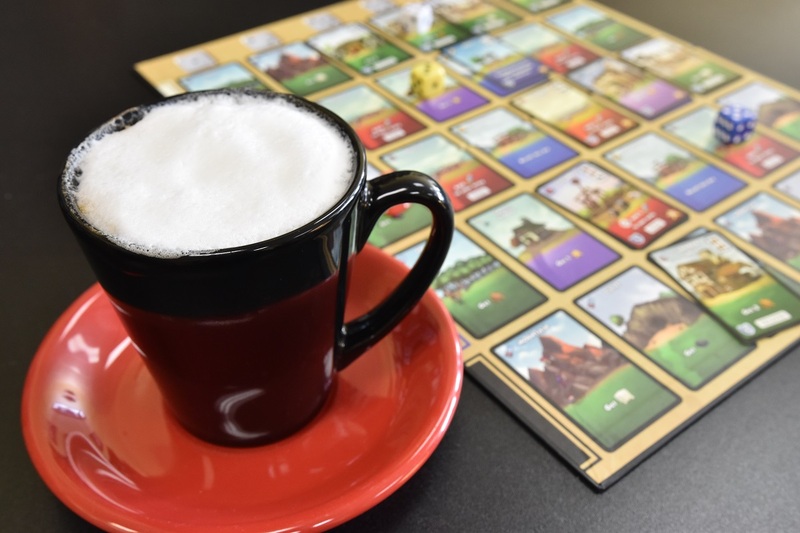 If you’ve been paying attention thus far, you’ll know that board game cafes boast having something for everyone. And it’s true! 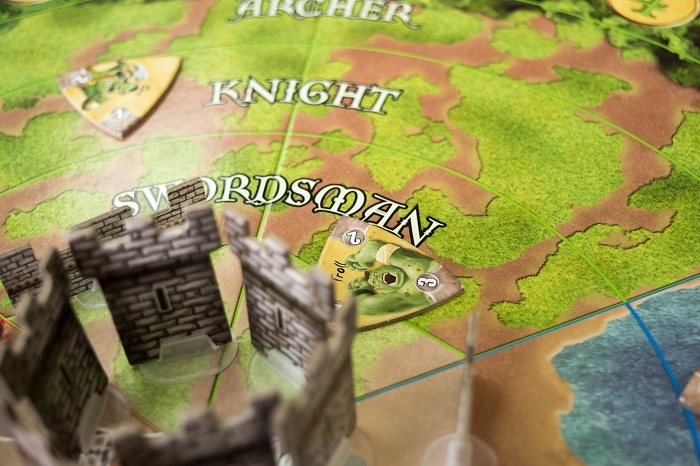 We pride ourselves on being able to find a game that everyone in your group can understand and enjoy, even those most adamantly opposed to learning something new. And the same is true about our sandwiches. Now, you may be thinking to yourself, “But, Rae, isn’t that true about almost every café out there?” And to that I say yes, you are absolutely correct. 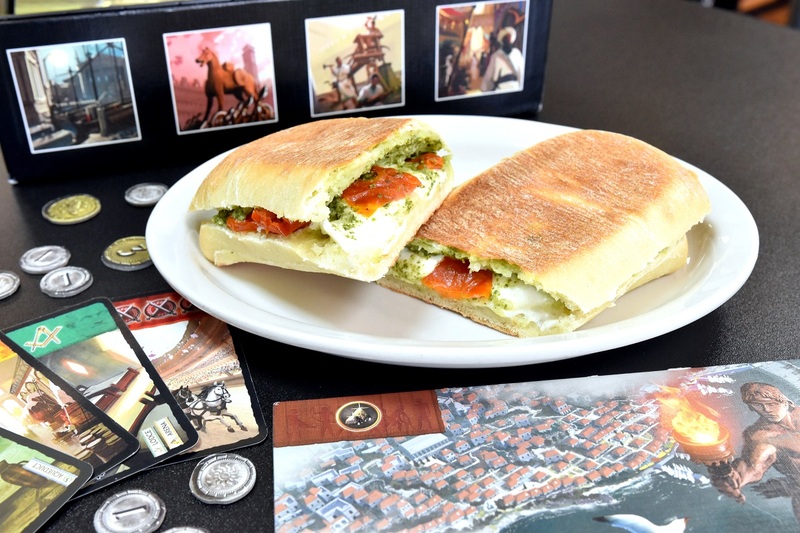 But can you go to any of those other cafés and play the board game your sandwich was named after while eating said sandwich? No, you can’t. And that is where we have those cafés beat. 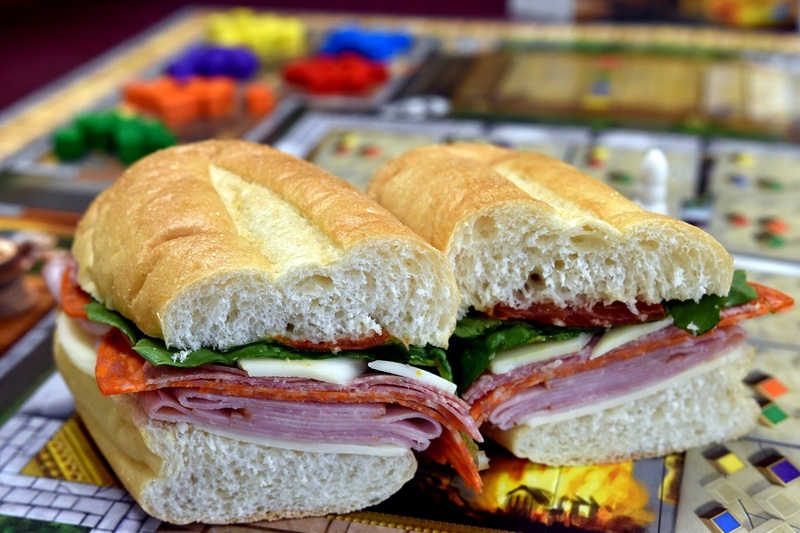 Essentially an Italian sub, the Fresco is made with ham, pepperoni, and salami layered between provolone cheese. This is topped with lettuce and roasted tomatoes, which are way better than regular tomatoes. The tomatoes sit in an oil that we drizzle on top. 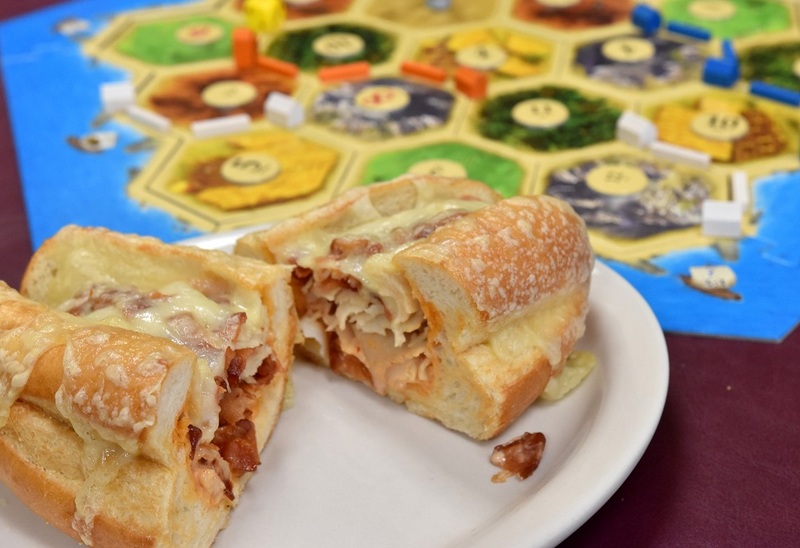 The perfect sandwich for all of you bacon lovers is the Catan. In addition to bacon, the Catan has turkey, Russian dressing (which I’ve heard is like thousand-island dressing), and Swiss cheese. We toast it so that the cheese bubbles up and melts down the sides. The Munchkin is a roast beef sandwich with lettuce, red onions and those delicious roasted tomatoes. It is completed with a horseradish sauce that we so lovingly refer to as “horsey” sauce. 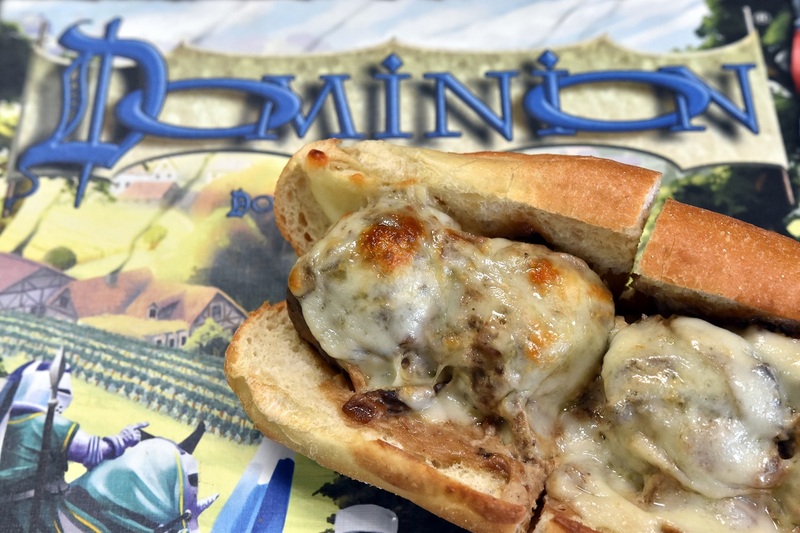 The Dominion is a meatball sub made with stroganoff sauce and provolone cheese. We toast it in the oven so the cheese melts over the top of the meatballs. What is stroganoff sauce? Honestly, I have no idea. All I know is that it is brown and has mushrooms in it. Our caprese sandwich is the 7 Wonders, made with fresh mozzarella, tomatoes, and pesto that is toasted on the panini press until the cheese is perfectly melted. Again, these are our delicious roasted tomatoes and it is the tomatoes that really make this sandwich. With no meat, this sandwich is also vegetarian-friendly! 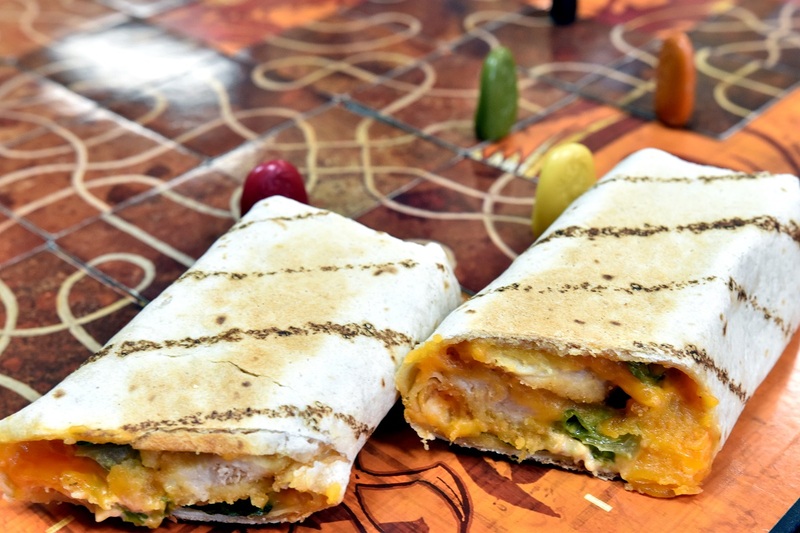 The Tsuro is a buffalo chicken wrap made with chicken tenders, cheddar cheese, lettuce, and a buffalo sauce that makes it a bit spicy. We grill it on the press until the outsides are golden and toasty. 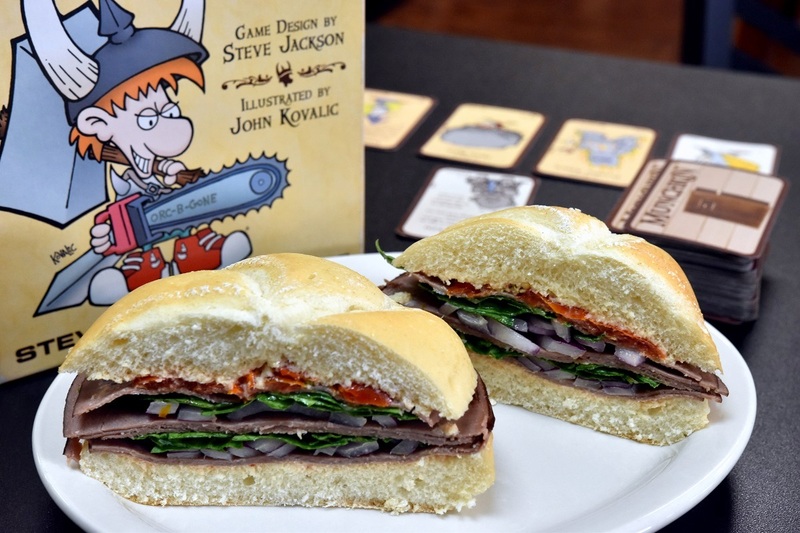 Perhaps the only sandwich whose name makes sense is the Scoville. 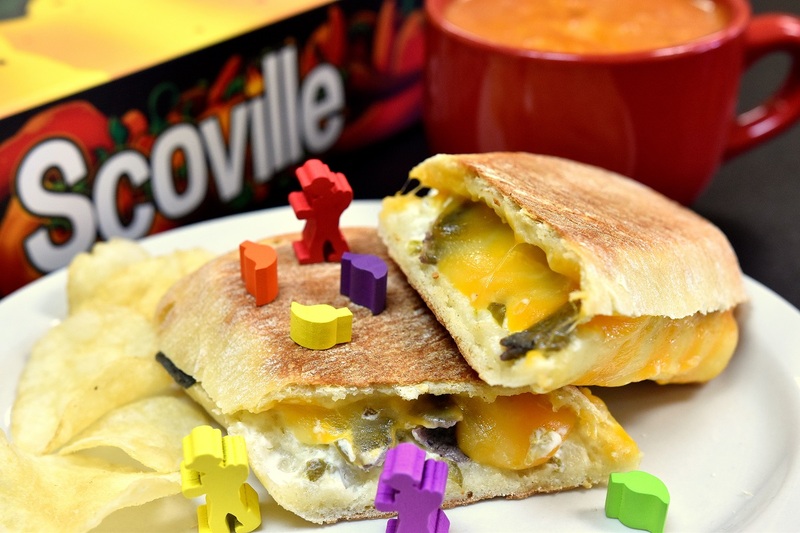 Scoville is a game about planting peppers and our sandwich is a grilled cheese with a kick. In addition to Colby jack cheese, we add blue corn chips and a jalapeno cream cheese spread. This is our other vegetarian-friendly sandwich! Another sandwich made with turkey is the Ticket to Ride. 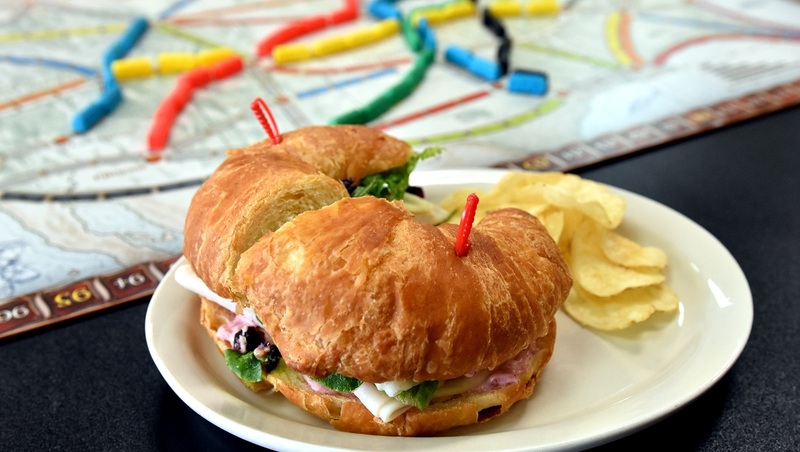 The Ticket to Ride has turkey and provolone with a layer of lettuce on top. Instead of plain, boring mayonnaise, we’ve put a twist on our turkey sandwich using a cranberry mayonnaise and a small amount of craisins to give it a bit of sweetness. I don’t drink coffee. I know, right? You’re thinking, “How can you work at a café and not drink coffee? How do you go through every day without caffeine pumping through your system? Something must be wrong with you.” I assure you, dear reader, I survive just fine without my daily dose of coffee. And I’ve learned quite a bit about coffee now that I make it on a regular basis and I want to share my plethora of knowledge for our customers who, like me, aren’t big on coffee and may feel a bit lost trying to order something new. Sure we don’t have nearly as many options as Starbucks, but it can still be a little intimidating if you don’t know what you want. Fear not, for I am here to help you navigate all of these strange, Italian words. 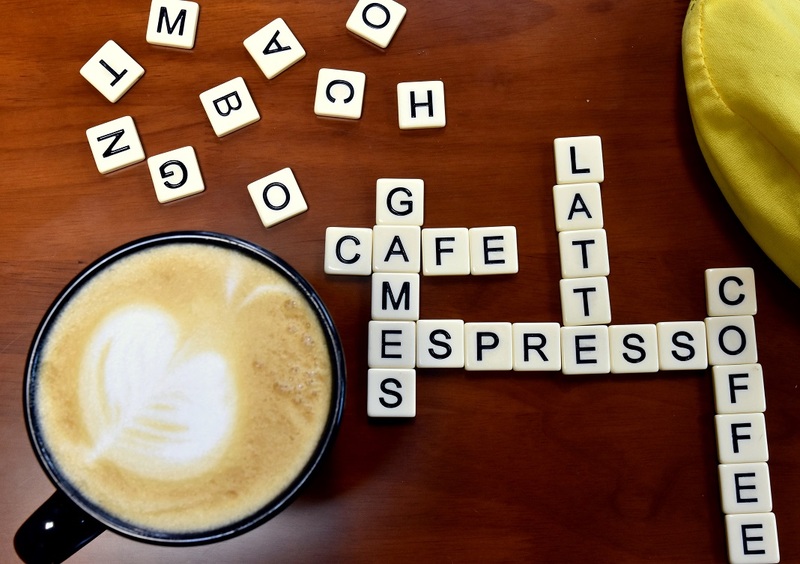 Let’s get one thing straight: there is no “x” in the word “espresso.” Now that we’ve got that out of the way let’s talk about what espresso is. A common misconception is that espresso is a dark or bitter roast, but the truth is that espresso is referring to the method in which the coffee is prepared. 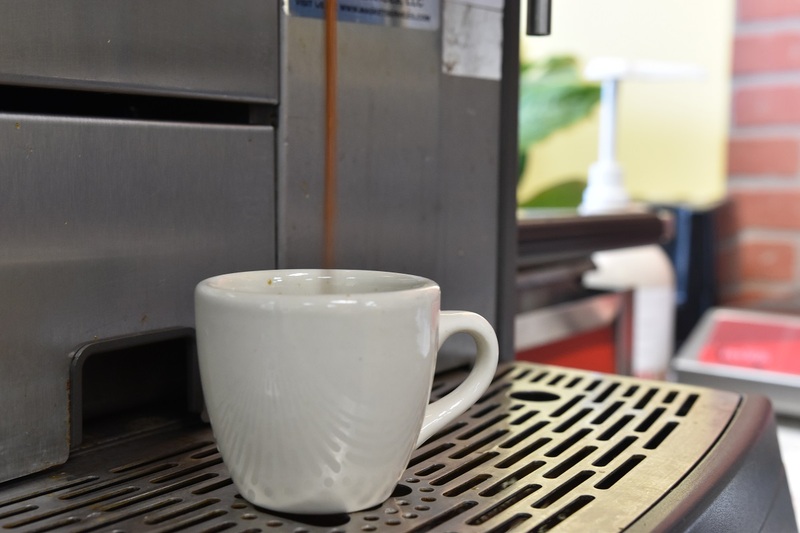 “Espresso” comes from the Italian for “pressed out.” To make espresso, finely ground coffee is tightly packed into a portafilter, then hot water is forced through the grounds. The result is an intense, concentrated amount of coffee. Basically, espresso is the “hard liquor” of coffee. It is called a “shot,” after all. Remember that espresso shot we just talked about? Now we’re going to add a few ounces of steamed milk to it to make a latte! The word “latte” is the shortened form of the Italian “caffé latté” meaning “milk coffee.” If you want espresso, but need something to help minimize the bitterness of it, a latte is the way to go. If your barista is creative and willing to go the extra mile, you may even see some nice latte art. Cappuccinos find their origins in a Viennese drink from the 1700s known as a Kapuziner (the name comes from the color of the robes of Capuchin monks). While the name comes from Vienna, it was the Italians who invented cappuccino around the time espresso machines became popular in the early 1900s. Traditionally, cappuccinos were basically tiny lattes, only about five ounces. It wasn’t until after WWII that the modern cappuccino arrived. If you walk into a café today and order a cappuccino, what you will receive is a drink that is one-third espresso, one-third steamed milk, and one-third milk foam. I think a lot of people don’t realize that’s what they’re ordering when they ask for a cappuccino; I know my own family didn’t until I explained it to them! A lot of people are sometimes surprised to find out that a macchiato is served in a small espresso shot cup. This is probably because Starbucks has implanted a different idea of what a macchiato is in people’s minds that is completely different than what a macchiato actually is. The word “macchiato” is Italian for marked. 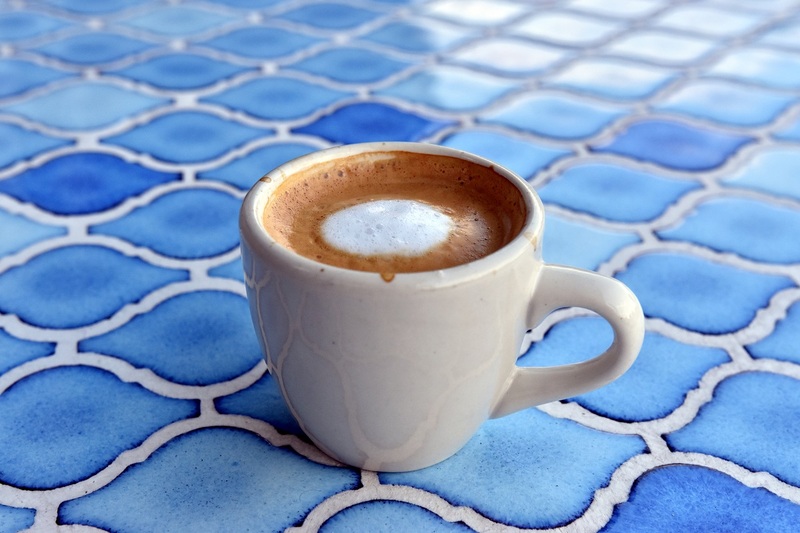 An Italian macchiato is a shot (or two) of espresso with the slightest bit of steamed milk that “marks” the top. Americano comes from the Italian “caffé Americano” meaning American coffee. The term is said to have originated during WWII when the American G.I.s stationed in Italy tried Italian espresso. Saying that it was too strong, they asked for the espresso to be diluted with hot water, making it more similar to what they were used to. Thus the Americano was born. Order an Americano today and you’ll receive a shot or two of espresso filled the rest of the way with hot water. While mocha can refer to a type of bean from Mocha, Yemen, we’re going to talk about the chocolate-flavored espresso drink. In this case, mocha is not synonymous with chocolate, but rather, mocha refers to the mixture of chocolate and coffee flavors. A mocha is essentially a latte with some form of chocolate flavoring added, usually either cocoa powder or a syrup. You can also think of a mocha as a hot chocolate with espresso added if you want to. 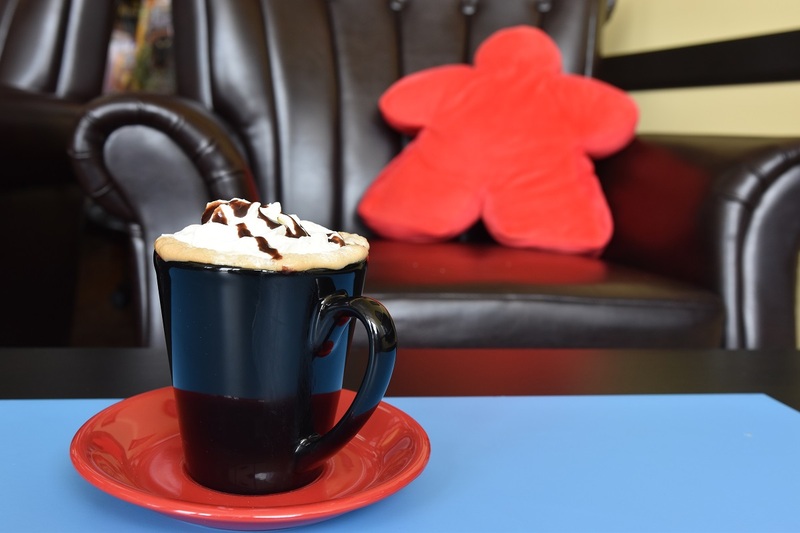 Depending on where you order, they may serve your mocha with a dollop of whipped cream on top. And now you are armed with the knowledge to go to your favorite coffee shop (definitely us, right?) and confidently approach the register and order with pride. 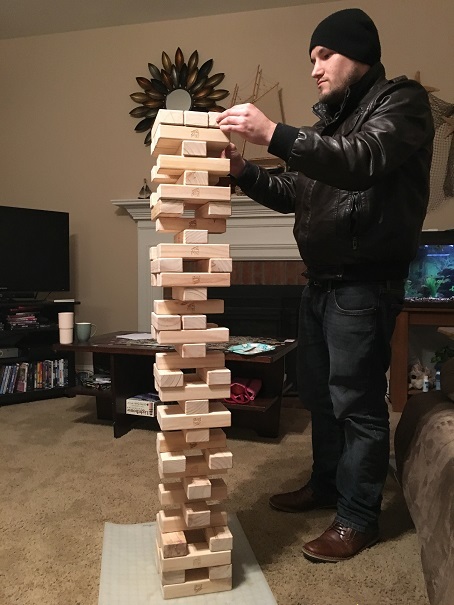 If you have played Jenga, you have probably felt that tension as you very carefully pulled a block from a precariously balanced tower that’s ready to topple at any moment and you have probably felt that relief when it doesn’t fall after you place your block on the top of the tower and pass your turn. As the tower gets taller and taller you simultaneously want it to fall over and just get it over with, but also want to keep it growing ever taller to see how tall you can make it. And even though you know it’s coming, somehow it still shocks you when the tower finally topples and crashes to the floor. Today I want to talk about some games you might like if you enjoy Jenga. The first game is Junk Art in which players take on the role of artists using obscure objects to create abstract sculptures. There are twelve different cities that you can exhibit in and each city is a different scenario to play through. 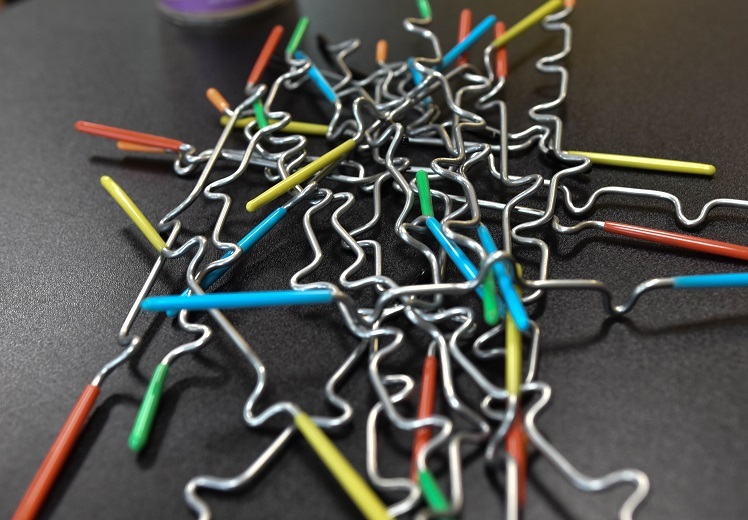 Each scenario has a different win condition, but the gameplay is the same: you must use a variety of oddly-shaped pieces to build your art and try not to let it fall. There may even be a bonus for the tallest structure. Junk Art requires a steady hand, balancing skills, and maybe even a little luck, just like Jenga. The difference here is that you are building art. 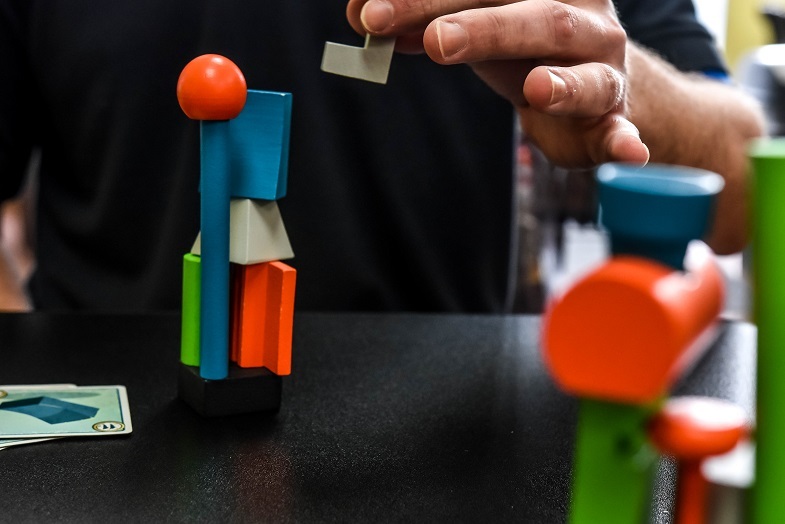 Junk Art requires a bit of creativity in addition to your ability to balance whereas Jenga is fairly straightforward in that you put the block you just pulled in the spot that will most evenly balance the tower. Also, in Junk Art, each player is creating his own tower, which makes it fun to compare your own art with your opponents’ art. Lift It is a similar concept to Junk Art in that you are building a structure with different shapes, but the catch here is that these structures must be built with a crane. Sometimes you will use your hand to maneuver the crane, but other times it might be attached to your head, making the game even more challenging. In Lift It, everyone may be playing against everyone else, or you can form teams to challenge each other. When it is your turn to build, you choose a card that shows you what you are to build. You have a certain amount of time to build it and get a certain number of points based on how many pieces you placed correctly in the time limit. Lift It is a great game for larger groups of people and kids find it to be especially fun. I’ve tried to explain Lift It to groups of kids before and they really don’t even care how to play the game, they just want to try their hand (or head!) at building different structures with the crane. Lift It is a fun, silly, and surprisingly competitive game that everyone can enjoy. The next game is more geared towards children, but still a fun game to test your balancing skills. In Animal Upon Animal players are trying to build a tower of animal figures. 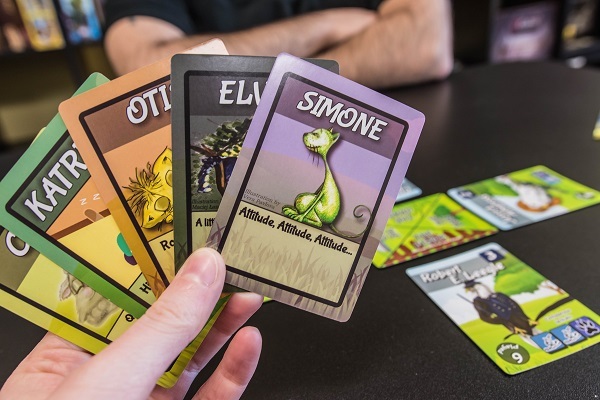 To start, each player takes a stock of animal pieces. 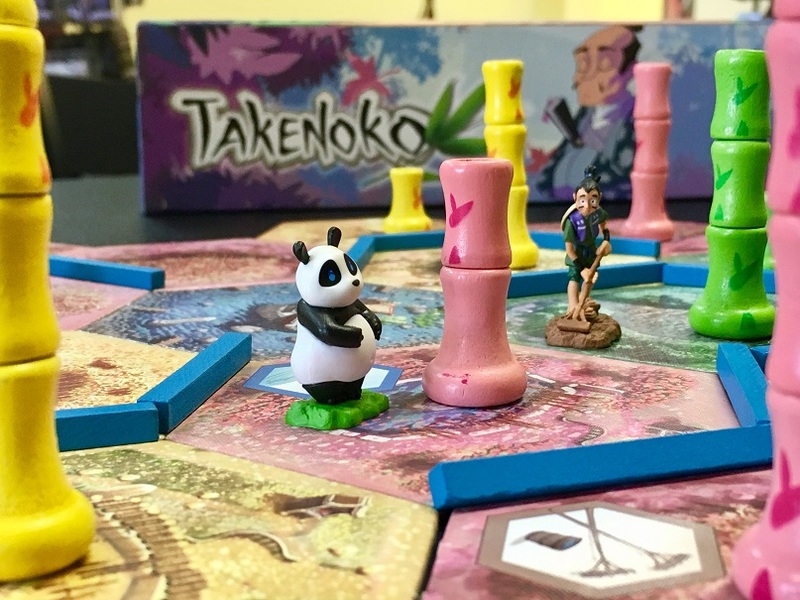 On your turn, you roll a die and, depending on the result of the roll, you (or sometimes someone else) must stack a certain number of animals on top of the tower. The first player to get rid of their pieces wins, but you have to be careful because if the tower collapses, you may have to take some pieces back. In my opinion, the best kids’ games are the ones that their parents can enjoy as well. 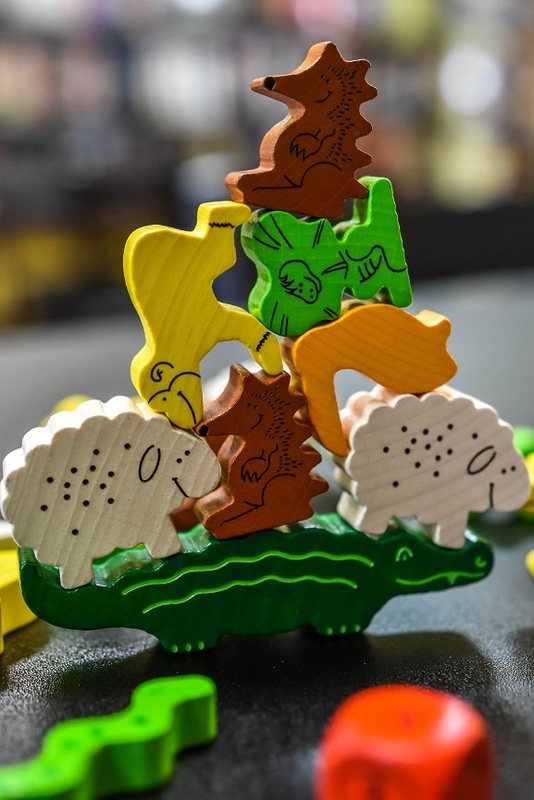 Animal Upon Animal may technically be a children’s game, but the cute theme combined with the need for some balancing skills makes it a great game for everyone. I’ve even seen some of our “grown-up” patrons without children have a blast with it. 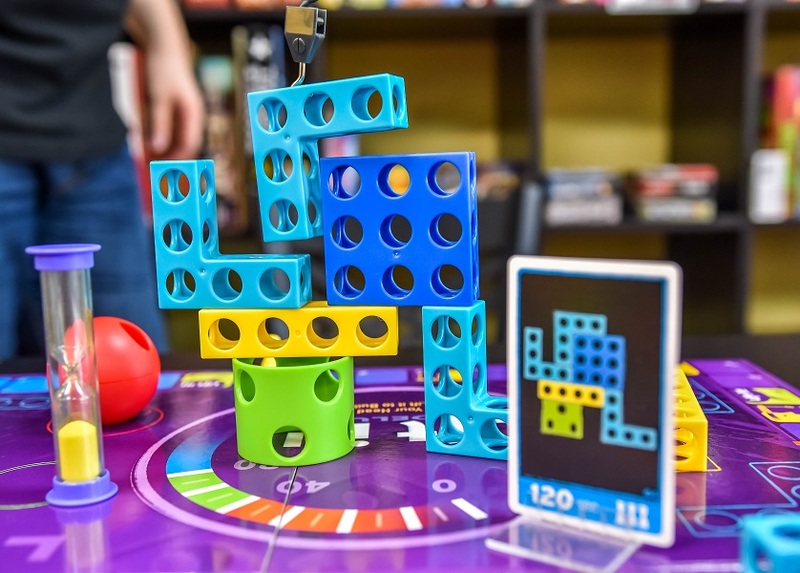 This game is also probably the most like Jenga in that all players are building on the same tower, but unlike in Jenga, if the tower collapses on your turn, that doesn’t necessarily mean that you lose, giving players more chances to continue playing on an uneven tower. Suspend is the final game and perhaps the game that looks the most dissimilar from Jenga because of its use of rods instead of blocks. However, the balancing act required in the game is still the same. Starting with the base (a metal rod standing up, but slightly leaning), players take turns placing rods of differing lengths on the base. Each rod has notches in it that you use to place them and once a notch is used, it can’t be used again. The player who runs out of rods first wins. Not gonna lie, but I think that Suspend may be the hardest of these games because the rods just don’t want to stay on very well sometimes. 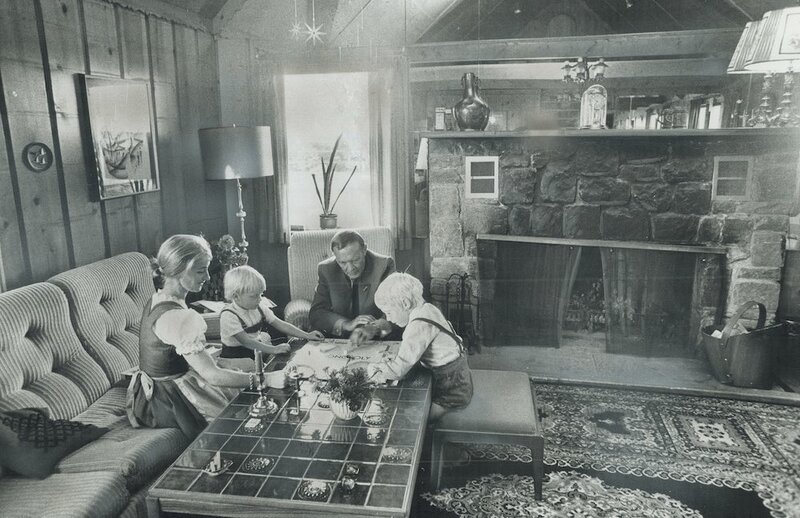 I remember playing this game with Tom’s daughter, but we kind of made up our own rules and played it cooperatively, trying to put all of the pieces on at the same time. We did it, but only because we didn’t know about the “each notch can only be used once” rule so we had multiple rods hanging from the same notch sometimes. I have yet to play it how it’s supposed to be played, but I’m sure that it’s difficult to find good places to hang certain rods—especially those pesky yellow ones! 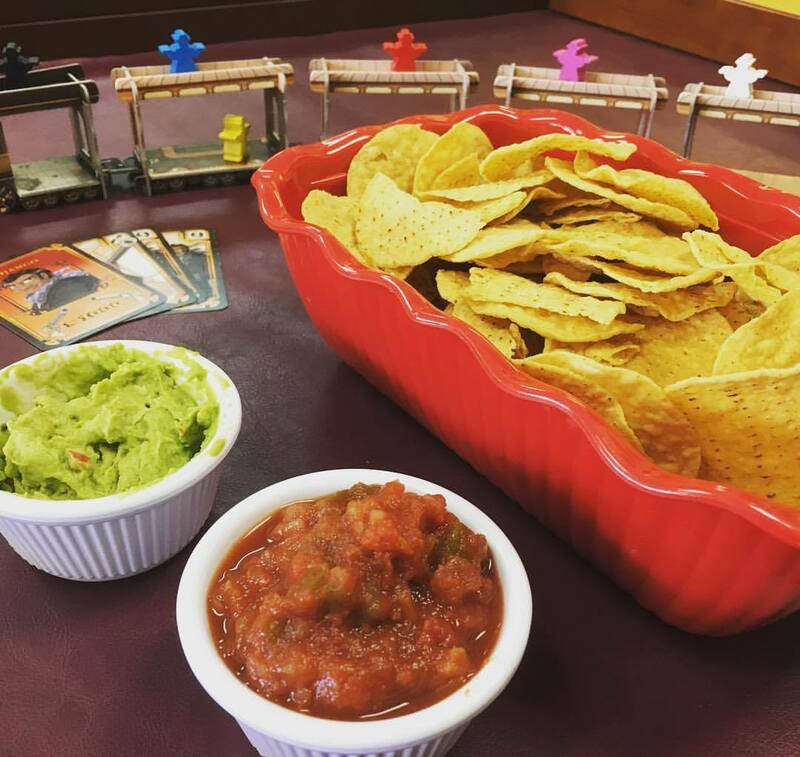 If you think that you have the steady hands of a surgeon then try out one of these games the next time you’re in the café! And don’t forget that we also have a giant version of Jenga available if you want to play a new twist on the classic game. The store record is 34 and 1/3 levels high, held by the Keegans themselves—maybe you can beat it! Cats are pretty great right? I mean, who doesn’t love cats? The Internet certainly does. They’re basically adorable little balls of fluff (that are sometimes crazy and evil, but that’s just part of their charm!) so how can anyone resist? I certainly can’t. 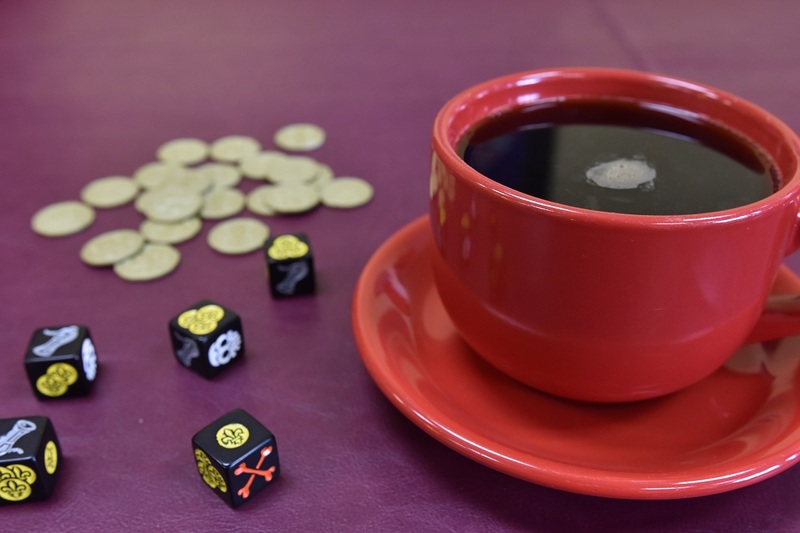 So for today’s post I thought I’d combine two of my favorite things, cats and nerd stuff, and talk about some of the great games we have in the café that are all about cats. I mean just look at this precious creature! 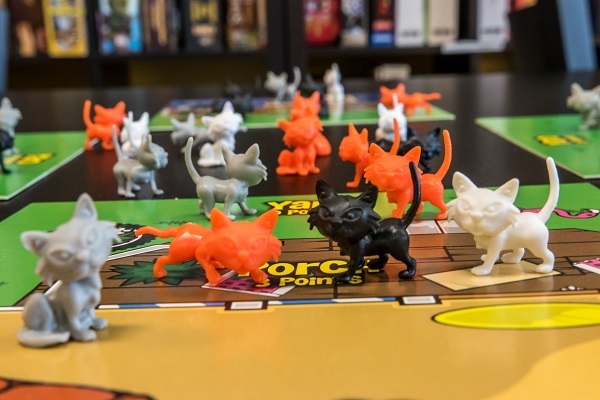 The first of our cat games is a fun, light game for families with younger kids or new gamers. The goal of Rat-a-Tat Cat is the end the game with the lowest score. In order to do that, you’ll need to collect cards to make sure that the value of your four cards are lower than the values of your opponents’ four cards. However, everyone must keep their cards face down so you won’t even know what all of your starting cards are, much less what other players have. Part of the fun of Rat-a-Tat Cat is the cute theme. All of the lower cards in the deck (aka the ones you want) have cats on them, while the higher cards have rats. This makes the goal of the game to get rid of the rats and go for the cats. Kids especially will enjoy the theme and it’s a great game to help them learn memory and number skills. Another game that kids especially tend to enjoy is Meow, a light bluffing game that is very quick to play. In Meow, Not Meows have infiltrated the secret Meow meeting. You have to figure out who is a Meow and who isn’t. The deck is full of two different types of cards: Meows, (cats) and Not Meows (not cats). 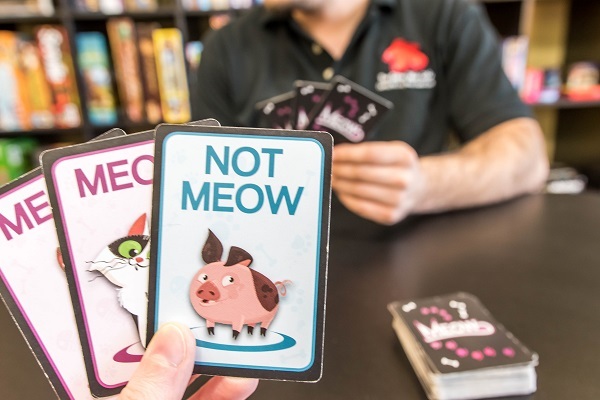 On your turn you draw a card and, no matter what is on the card, say “meow.” Other players then have the chance to accuse you of being a Not Meow. If you have any Not Meow cards in your hand, they win. If you don’t, they are eliminated. Other ways of winning include being the last player left after everyone else is eliminated or, if you have two Not Meow cards in your hand you automatically win. 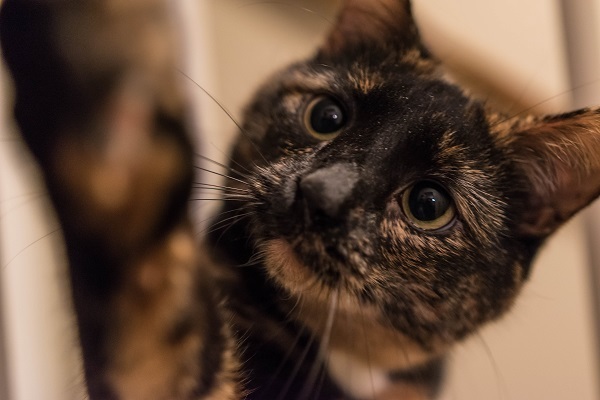 There is no real strategy to Meow unless you’re really good at reading people (which is sometimes easier when you’re with friends), but it’s still a cute little game to pass the time. Kids definitely have fun trying to imitate cat noises to their best ability. Meow is also great if you want something super quick. I’ve seen a game of Meow end after only two turns. If you’re good at deciphering whether your friends are telling the truth when they meow then this is a game you’ll want to check out. 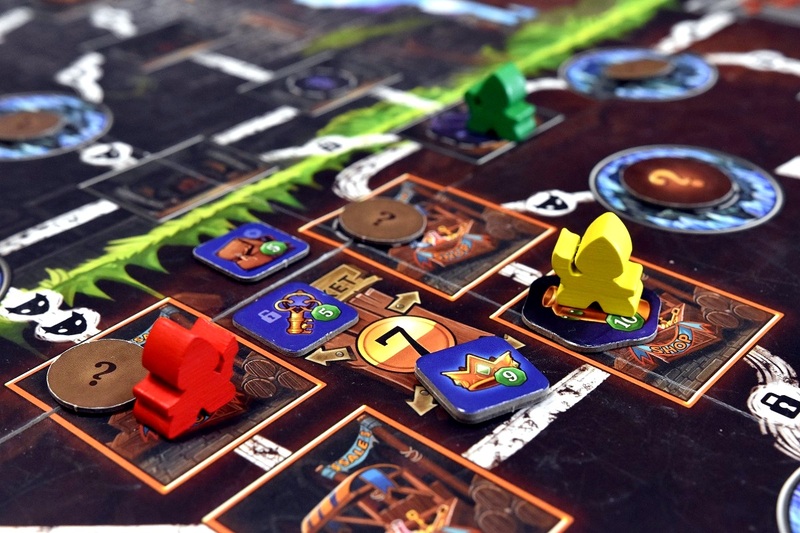 Cats is a programming game with a bit more strategy than the previous two games. In Cats each player gets a character (all cats of course!) and that character’s deck. Each deck is the same except each character has its own special ability. 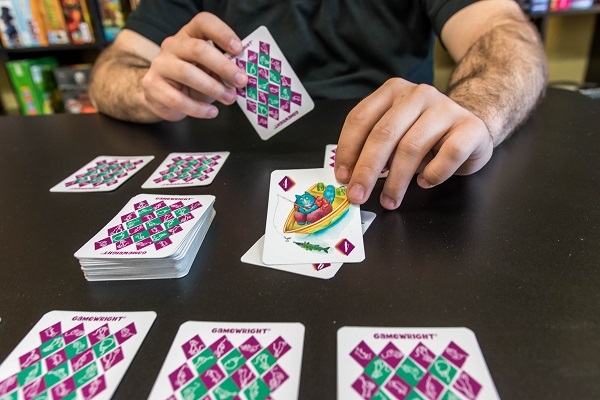 If you haven’t played programming games before, the way it works is that everyone secretly chooses what they’re going to do then everyone reveals their cards at the same time, meaning that you don’t get to see what other players are doing before you make your move. This, of course, is part of the strategy. You have to try to predict what your opponents will do so that you can make your move without worrying about any of them messing up your plans. The goal of the game is to catch wild birds and eat them. 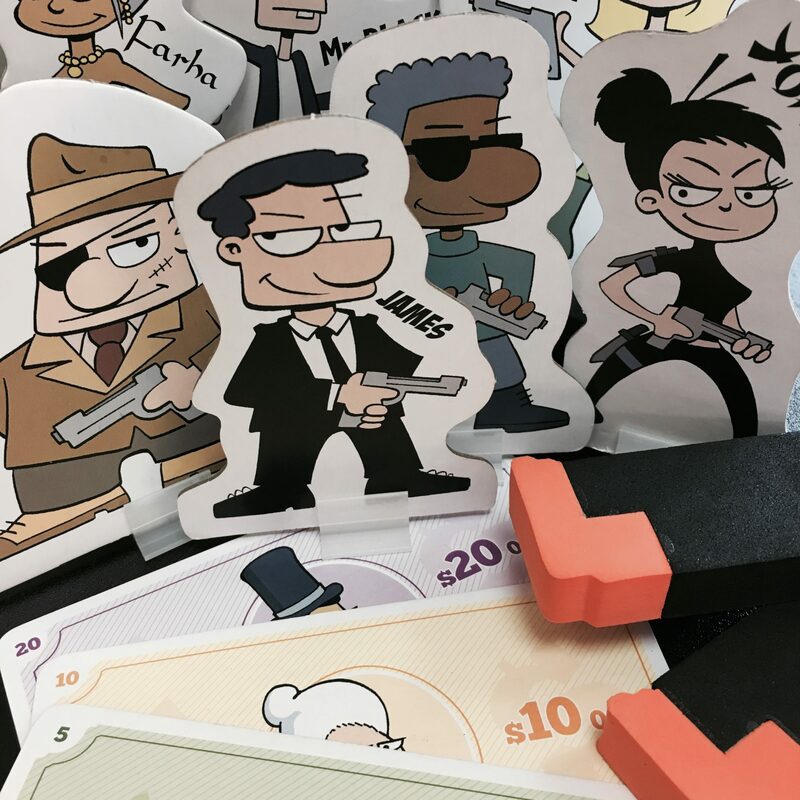 Each deck comes with Action Cards and Targeting Cards. 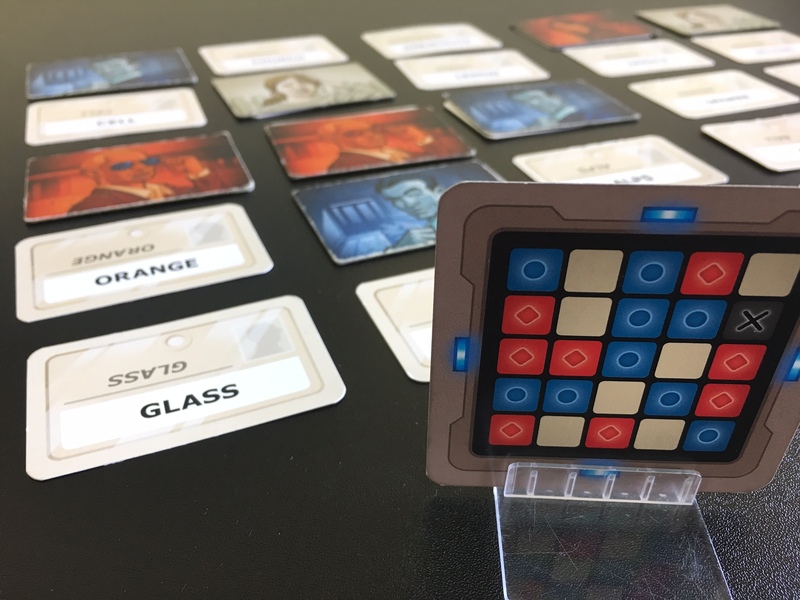 During the programming phase, players each chose an Action Card and a Targeting Card. Once everyone has chosen their cards, they are revealed and the cards take effect in a certain order. You can target wild birds (stalking or catching them) or you can target other players and steal their birds. Finally, you can target your own birds to play with them (which makes them worth more) or eat them. Each bird your cat manages to eat is worth a certain number of points. The player with the most points at the end wins. Simon’s Cat is a new game in our library. From Steve Jackson Games, Simon’s Cat is based on the popular Youtube series of the same name. In the game, you are a cat and you do cat things while trying to not get caught. If you get caught making messes by Simon you get closer and closer to losing. 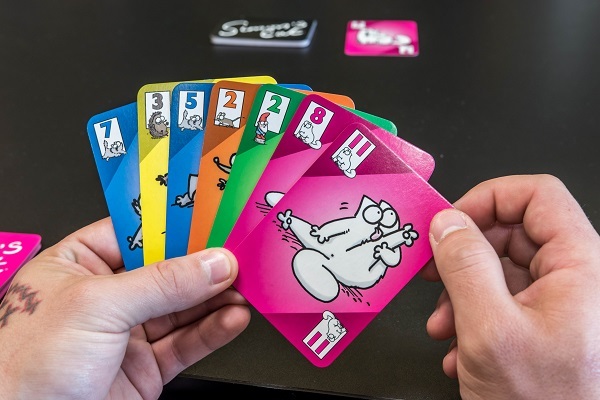 Simon’s Cat is a fast-paced game similar to Uno in that players are trying to lay down cards that either match the color or number of the face-up card on the table. If you get stuck and can’t lay a card, you take all of the cards in the middle. This pile is a “mess” made by Simon. After all players have emptied their hands, the player who made the most “messes” gets caught by Simon and takes a Simon card. The first player to get three Simon cards loses. Everyone else wins! 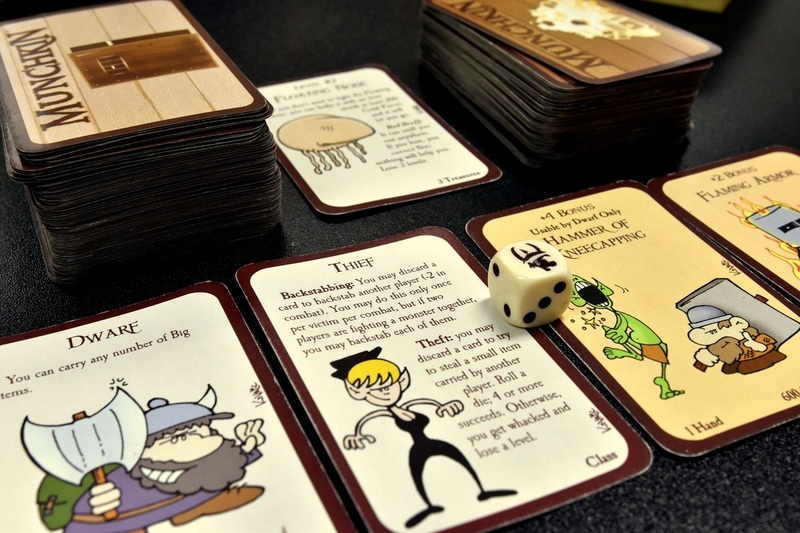 It’s simple and silly and great if you want a quick game to play with some friends. My personal favorite of the list, Here Kitty, Kitty is a kitty collecting game. I’m sure almost everyone remembers when Neko Atsume became a huge hit a few years ago (if you don’t check it out! It’s a phone app where different kitties will visit your yard and bring you presents!). Well, in my mind, Here Kitty, Kitty is what Neko Atsume would be like if you played with other people. In Here Kitty, Kitty, there are a ton of stray kitties wandering around the neighborhood. You play as a person in the neighborhood trying to lure kitties from the neighborhood into your house. You can even try to steal cats from the houses of other players. At the end of the game you get points based on where the kitties are in your house and what color cats you have. The best part of this game is that it comes with mini cat figures. 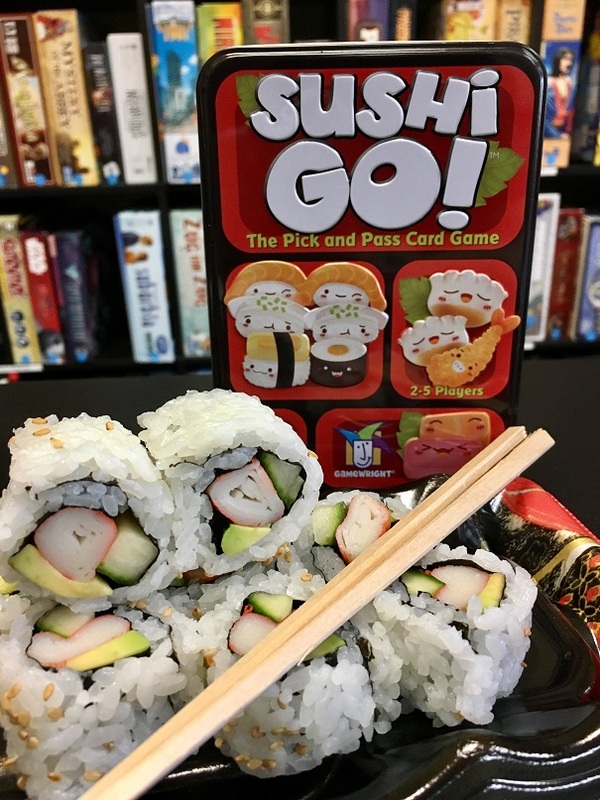 Unfortunately, while we do have this game available for sale, we do not currently carry it in the library for play. I can say that it’s a fun, light game that might be worth the $25 price tag. I even played it with my family (if you all remember from previous posts, they’re not at all gamers) and had no issues! The only game on this list that I have not played is You Gotta Be Kitten Me. The only reason for this is that the game is only in our retail section so I am unable to open it. However, I do know that the game is similar to Liar’s Dice (a game you may know from the second Pirates of the Caribbean movie). 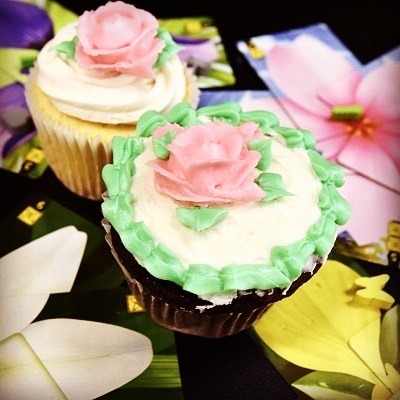 The cards consist of pictures of cute animals decked out in adorable accessories. On your turn you have to try to guess how many cards are in play of either a certain color or accessory. You can up the bid or challenge another player if you think their bid is too high. With each challenge someone will lose a card. The last person with cards is the winner. 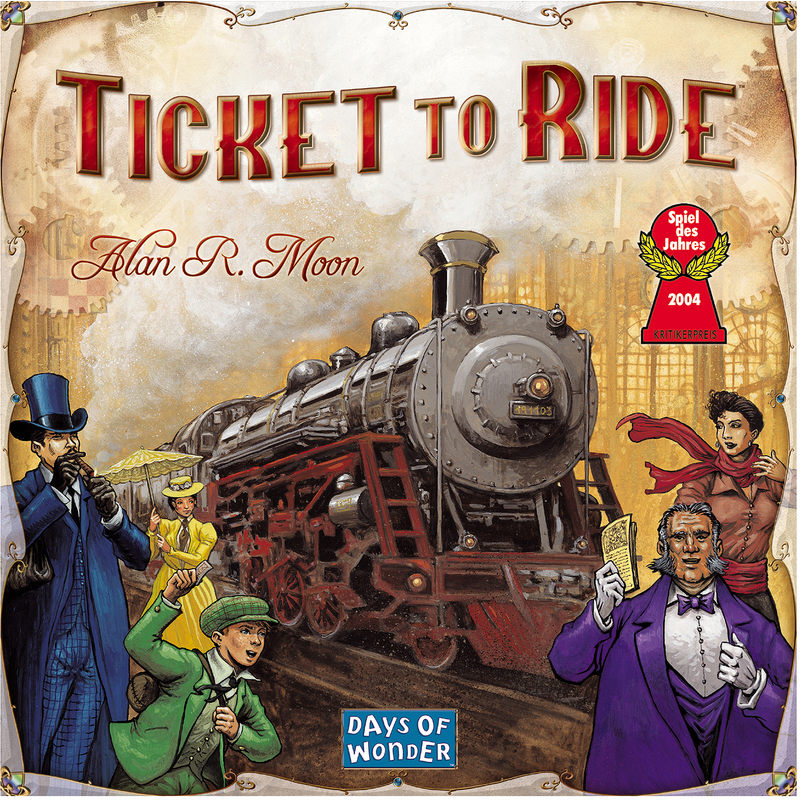 It seems to me that if you want a cute bluffing game, this could be a good option! 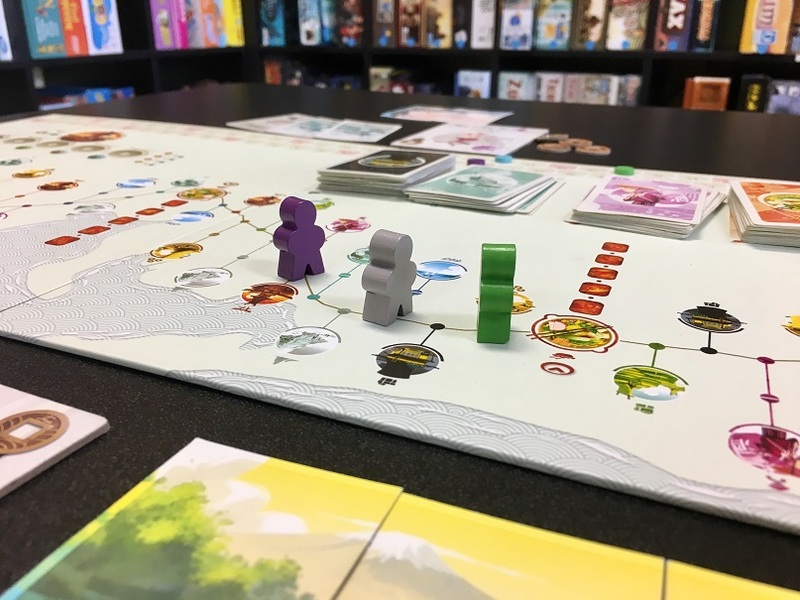 If you’re a fan of cats like me you’ll definitely want to check out these games the next time you’re in. The first four can be found in the Breadstick section and the last two can be found in the retail section. Now if only it weren’t a health code violation to bring real cats into the cafe…. 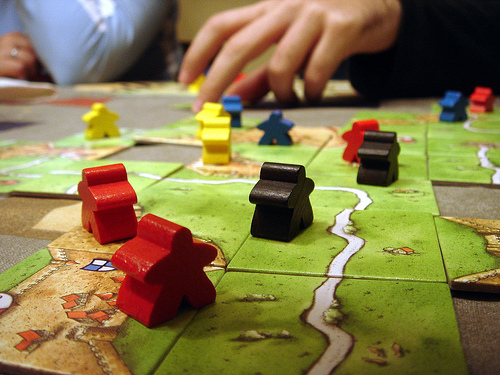 A large majority of board games are competitive; in most of these games, you and your opponents are generally in a race to gain the most victory points or make it to the end of a track. These types of games are great for competitive people, but sometimes players want something a little bit different. 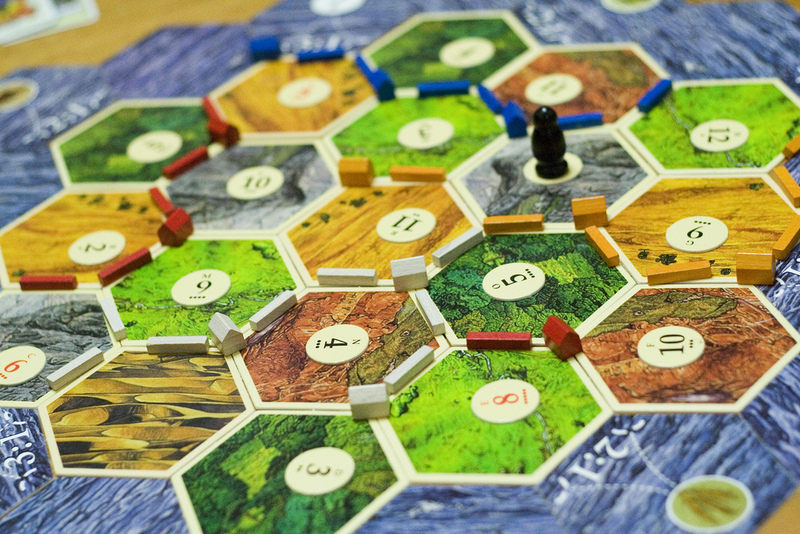 For any group looking to work on their team-building skills, trying out a cooperative game might be the way to go. 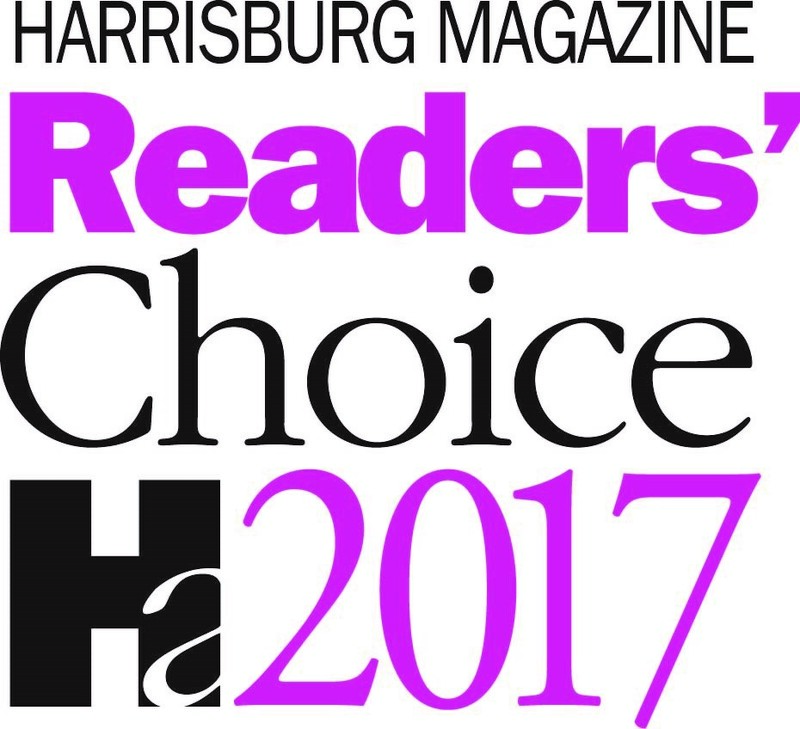 Here are two of our favorites! 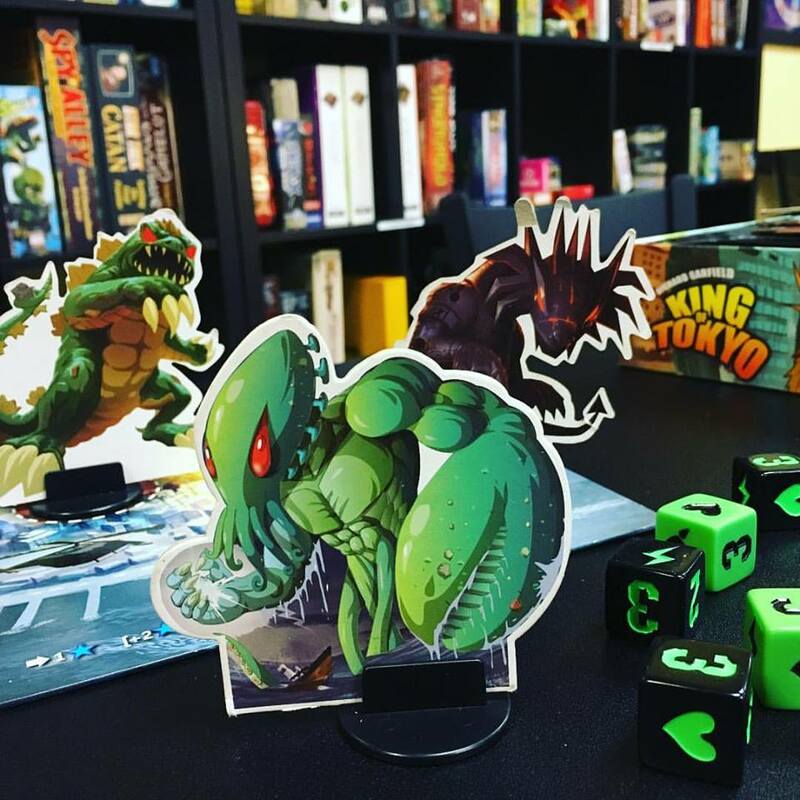 I have talked about Marvel Legendary in a previous post, but it’s just that great that it deserves another shout-out here. 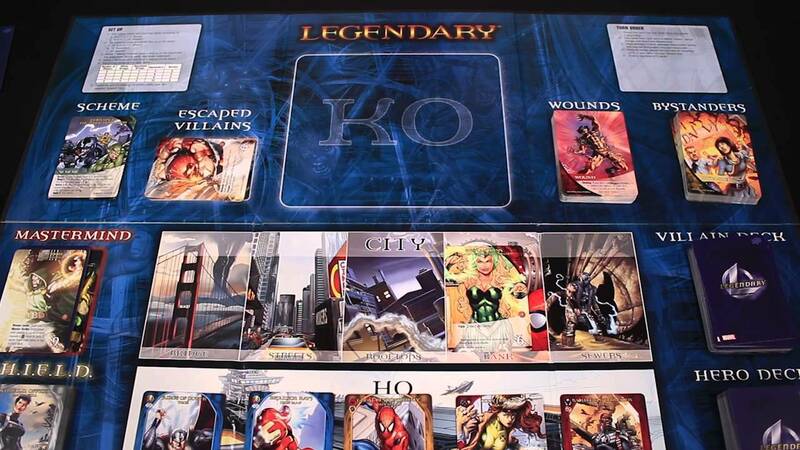 Marvel Legendary is a cooperative deck-building game featuring all of your favorite Marvel characters. 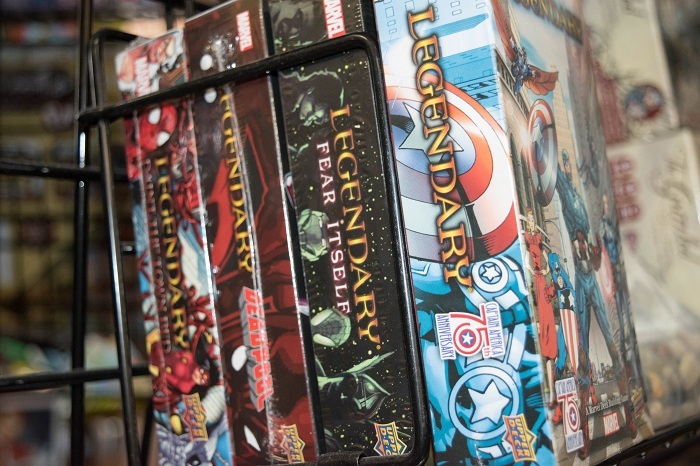 We love Legendary and not just because of the Marvel superhero theme (although it certainly is a plus!). 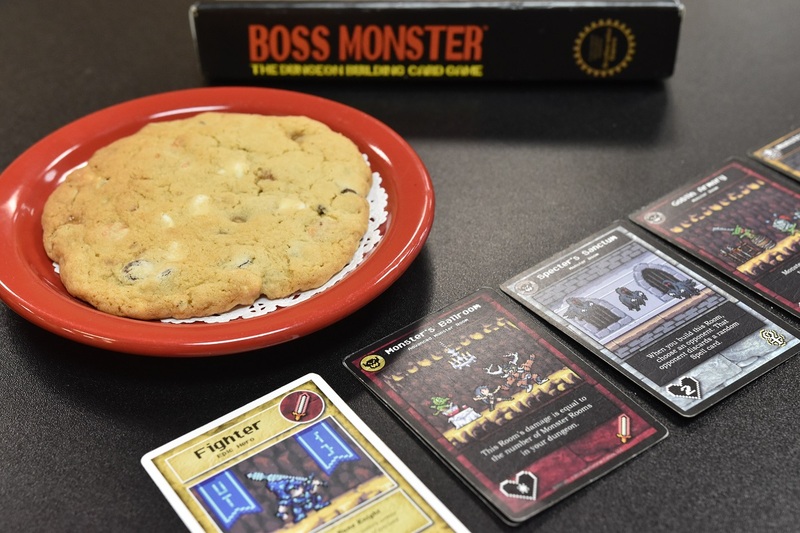 The base game comes with a variety of characters to choose from so there are a lot of combinations you can make when setting up the game as you choose the heroes you want to add to your deck and the villains you want to fight. 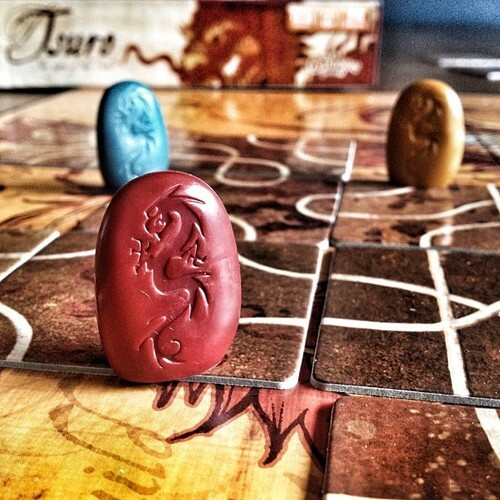 The game can be different every time you play, giving it great replay value. In addition, if you were to, for whatever reason, get bored with the options available in the base game, there are plenty of expansions to add even more variety to your game. The only downside to this game is the long set-up time, especially the first time you set it up, and the equally long clean-up time. Luckily, the more you play, the easier all of that will get. 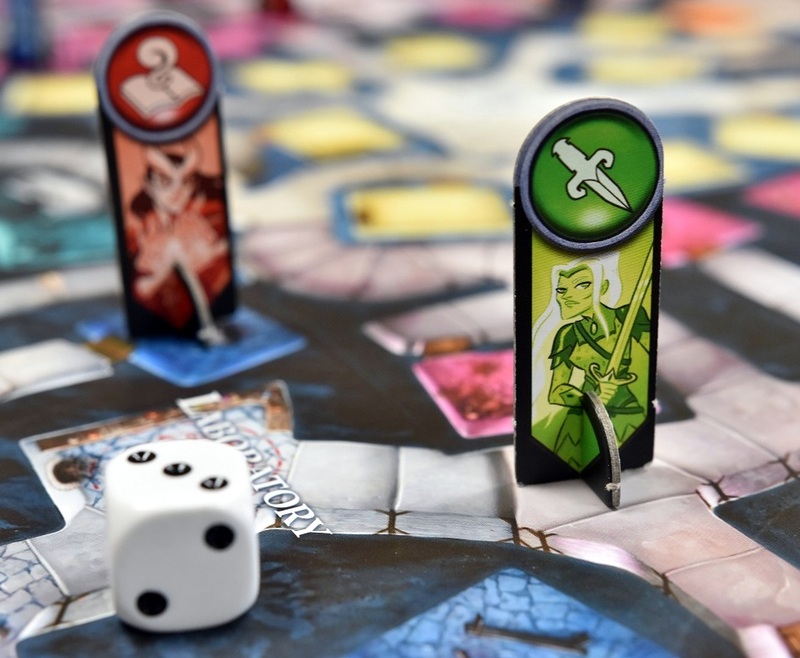 Otherwise, Marvel Legendary is a great game, no matter whether you like deck-building games, are a fan of the Marvel Universe, or are simply looking for a fun cooperative game. 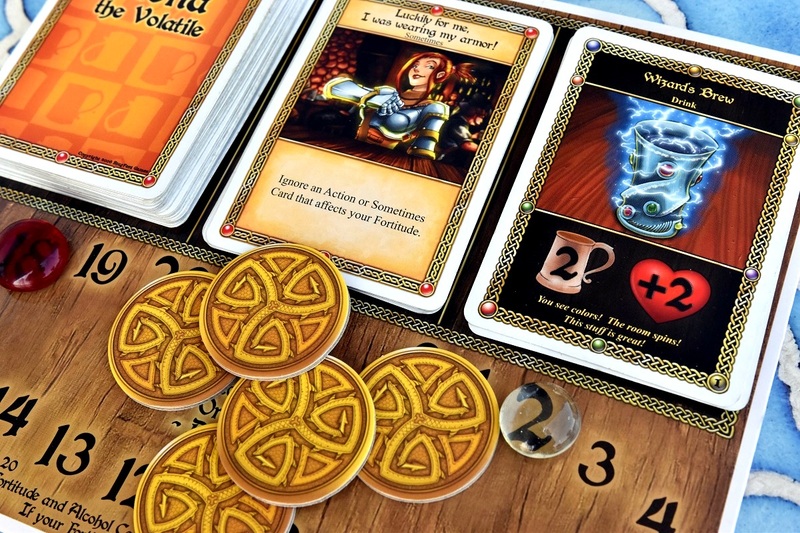 Anytime I teach Castle Panic in the café, I make sure to give players the following disclaimer: “Chances are very high that you will lose this game.” Most of the time, this turns out to be true, but there are those rare occasions where I return to a group when they’ve finished and they excitedly inform me that they won. Still, win or lose, Castle Panic is a great cooperative game that people tend to have a lot of fun with. In Castle Panic, players are working together to defend their castle from invading trolls, goblins, and orcs. 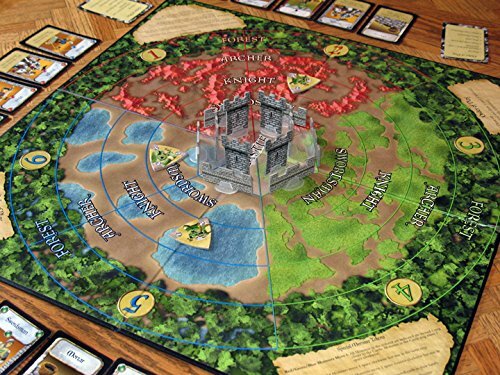 The board is set up in a circle with your castle in the middle. The monsters start on the outer ring of the circle and slowly move closer to your castle until you either defeat it or it hits your castle. You win when you have defeated all of the monsters and you lose when the monsters have destroyed all of your castle pieces. 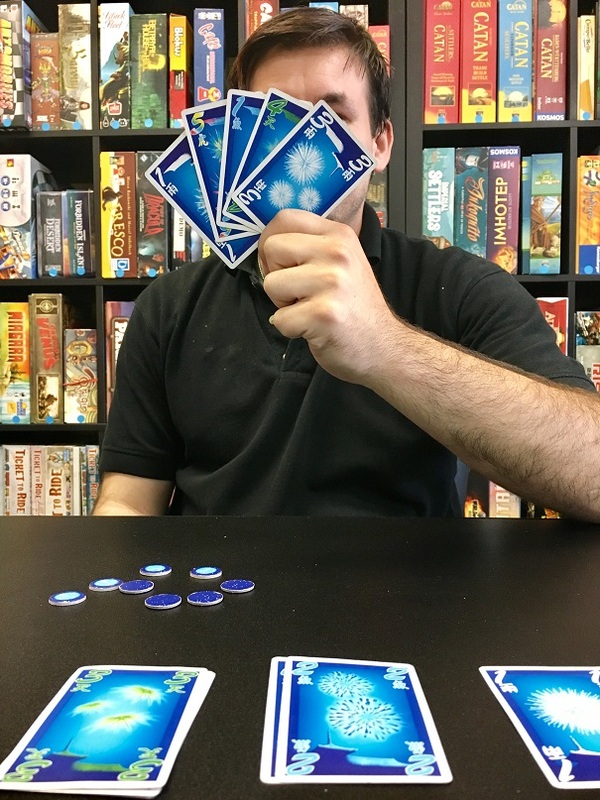 Players use cards to attack the monsters depending on what sector of the board they are in and you must work together as a team to plan ahead based on what cards other players have. It seems simple enough, right? 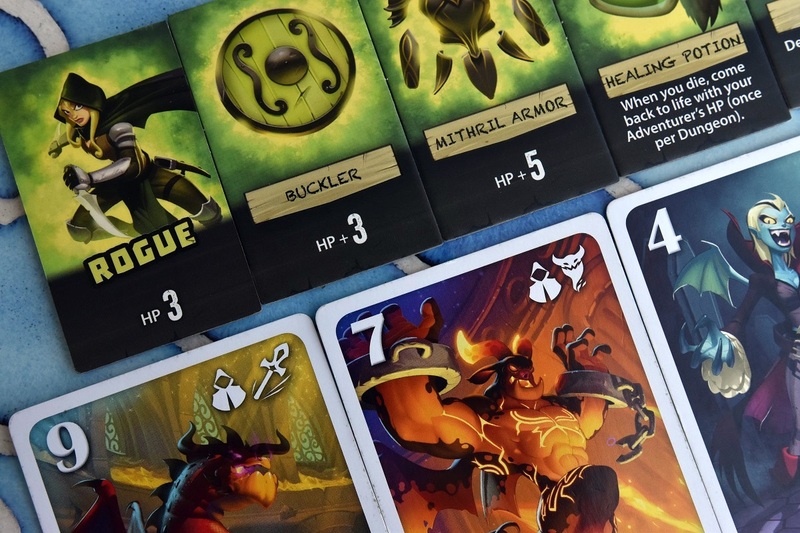 Simple until you have trolls closing in on you, ready to take down your defenses, and suddenly a tile is drawn that causes you and your teammates to lose half of your cards and worse still, you draw a boss tile that heals up all of the monsters on the board. Sometimes even the best planning isn’t enough to win this game; having a lot of luck with your draws is definitely part of it. Someone had better take out that troll! Most of the time it seems like Castle Panic is not enough “castle” and too much “panic,” but it’s still a really fun game. 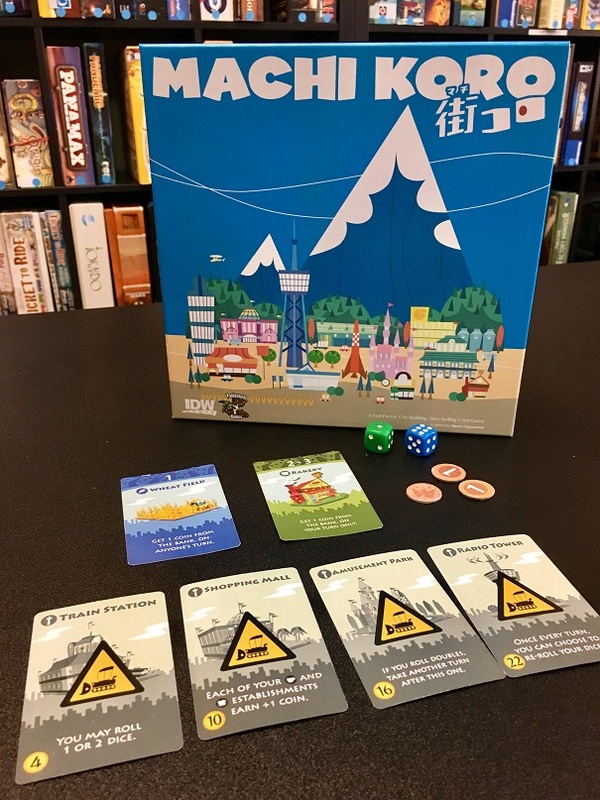 In addition to the base game, there are also a few expansions that you can add to your game and even a few different versions like Star Trek Panic or Munchkin Panic, just in case you aren’t “panicked” enough. Even still, the base game is plenty to keep you coming back for more. 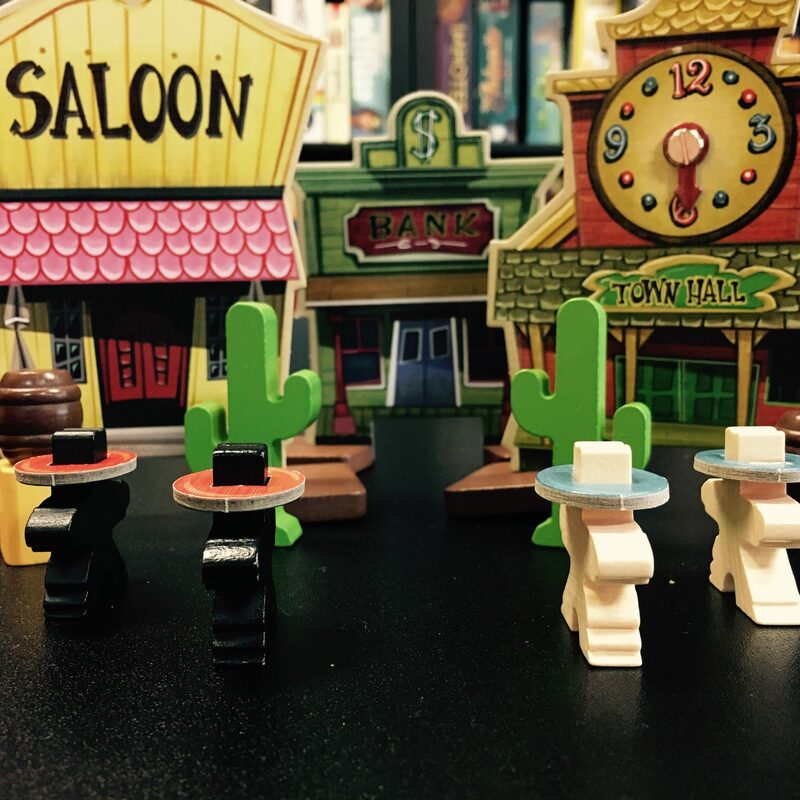 Be sure to check out one of these games the next time you stop in!